Facebook’s F8 developer conference is right around the corner (May 1-2) and while the past few years have been more celebratory and designed to further modernize the company’s ecosystem, the 2018 edition will likely be a bit subdued. Weighing on people’s mind is the latest controversy plaguing Facebook namely, how it uses our data. Whether or not you’re outraged personally by what the Cambridge Analytica scandal uncovered, won’t impact what Facebook says at F8 next week. But what the company has done consequentially will likely be at the forefront of the show and developers and brands alike will want to hear what future exists on Facebook’s platform. For chief executive Mark Zuckerberg, who along with his team, has been on an apology tour as of late, the message to developers will likely be to hear him out and let him explain the path forward because there are still opportunities for everyone. The past couple of months have not been kind to the social media company, thanks to whistleblower Christopher Wylie. Facebook has largely been on its heels defending itself from criticism levied by not only both houses of the U.S. Congress but also the U.K. Parliament, and the European Union. In response to public outrage, the company has rolled back API access on not only Facebook but also Instagram impacting numerous businesses that had relied on Facebook’s data to have a better user experience. Just with a snap of its fingers, Facebook has begun to wall off parts of its once-famous open platform, a resource that gave developers access to some of the most personal (non-financial) stuff it knows about you. Undoubtedly, the company’s activities over the past few weeks may give developers pause and maybe eerily reminiscent of Twitter’s developer struggles, dating back to 2010 when it held its Chirp conference. Twitter tried to make amends several years ago but seems to keep stumbling. It’s unclear whether Facebook, which has a much larger platform, will be impacted as severely. 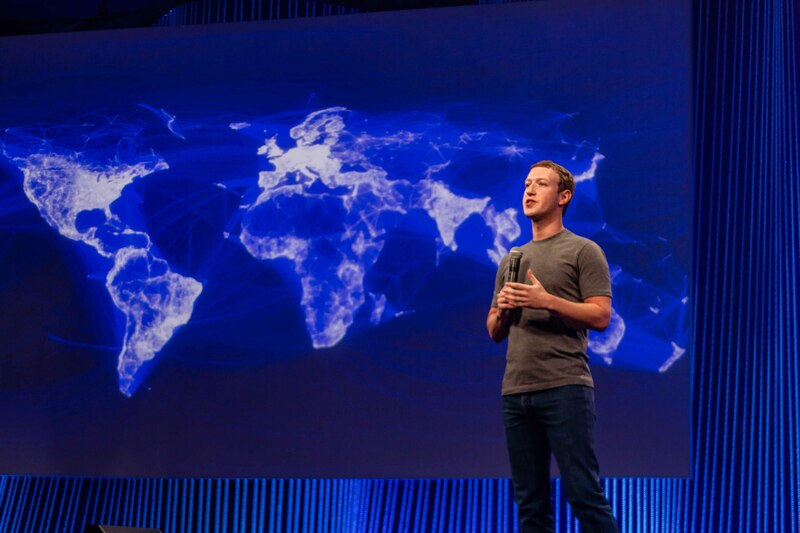 This is why Zuckerberg’s keynote on Tuesday will be important for developers and brands. It’s the first time that we’ll hear a targeted message designed to persuade businesses, advertisers, and brands that amid the Cambridge Analytica controversy, Facebook has planned a way forward and is sharing how restricting data can be a good thing for everyone. For Zuckerberg, it allows him to speak directly to his customers without having to do it in a setting outside Facebook’s control — previously it’s been before the media or the government. Now it’s at his own event. At F8 2016, Facebook revealed its 10-year roadmap. In 2016, Zuckerberg revealed Facebook’s 10-year roadmap while at other F8’s, he introduced the world to extensions of his vision of the social network, including new chatbot-based Messenger platform and one around augmented reality. The world has also been shown developments around VR, artificial intelligence, photo and video technology, and even frontier technology such as providing internet through drones. But all of that excitement and fanfare may not be as notable this year as the company seeks to set the record straight and take corrective action over what Zuckerberg’s testimony and Facebook’s actions will mean to the broader community. Facebook is going to F8 with some momentum, thanks to a great first quarter of earnings. But much of that performance is attributed to events prior to Cambridge Analytica and we could see some developments in three months. Nevertheless, the company isn’t being abandoned by advertisers nor is it seeing a significant number of accounts being deleted, which gives it some room to breathe before addressing the masses about where it goes next. Expect Zuckerberg to apologize once again and echo similar statements he’s given to media and Congress, but then look at what concrete actions Facebook will take to make, especially since it constantly touts that it cares more about the users than anything else, including advertisers. After all that is out of the way, expect Facebook to proceed with announcements around new features and products, including around Messenger, ads, Workplace, the latest evolution of its AR platform, and Oculus. By the end of this two-day conference, Facebook will likely hope to get the majority of developers on its side and show them that while it made several API changes suddenly, it’s not a bad thing. While previous F8s have been about showing what Facebook is looking to next a la “the big picture”, it probably shouldn’t surprise anyone that this year will be about fixing all the mess that the company forgot about as it pushed forward.